Highly anticipated: With Battlefield V just under three weeks away, Electronic Arts and DICE have revealed the game’s recommended PC specs along with the hardware needed to use Nvidia’s real-time ray tracing technology. Moreover, microtransactions, which won’t be available at launch, and the progression system have been explained. The next installment in the long-running franchise isn’t very demanding when it comes to minimum specs, asking for a Core i5 6600K or AMD FX-8350 with 8GB RAM and a GeForce GTX 1050/GTX 660 2GB or Radeon RX 560/HD 7850 2GB. Recommended specs are bumped up to a Core i7 4790 or Ryzen 3 1300X with 12GB RAM and a GeForce 1060 (6GB) or Radeon RX580 (8GB). Battlefield V is set to become the first game to support Nvidia’s RTX (ray tracing) technology that it spent most of the RTX 20-series launch talking about. As such, a separate set of DXR requirements have been released, and they’re pretty hefty. In addition to needing at least an RTX 2070, all those real-time reflections and pretty shadows will require a Core i7 8700 or Ryzen 7 2700 and 16GB of RAM. Check out the full list at the bottom of the page. DICE has also revealed more about the game’s progression system and economy. Battlefield V will have two currencies, the first of which is called Company Coin. This is earned solely through gameplay and can be spent on upgrading your skill trees, weapons, vehicles, new gear, and cosmetic items. "You can use Company Coin to unlock choices within weapon and vehicle Specializations. You can also use Company Coin to get cosmetic items, such as jackets, face paint, and weapon skins," said DICE. The game will also include Battlefield Currency, which is purchased using real-world money but can only be used to attain cosmetic items. It will be added sometime after the game launches. Following last year's Star Wars Battlefront II controversy, it’s no surprise to see DICE distancing itself from anything that resembles pay-to-win. "Balanced rock-paper-scissors gameplay has always been the foundation of the Battlefield series, and our belief is that real-world money should not enable pay-to-win or pay-for-power," the company said. 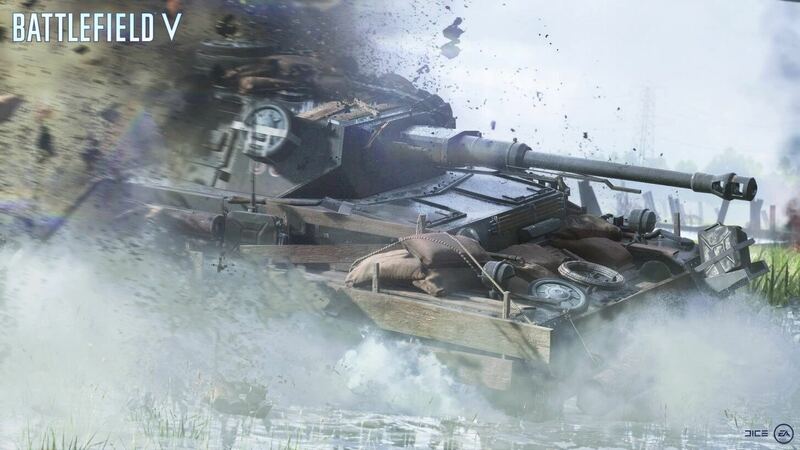 Battlefield V’s progression system is split into five categories: Career, an overall rank that increases with everything you do in the game; Class, which reflects how often you play as one of the four classes (Medic, Recon, Assault, Support); Weapon and Vehicle, both of which level up and unlock new mods; and Chapter, which is tied to Tides of War. Battlefield 5 arrives on November 20 for PC, PS4, and Xbox One. The Firestorm Battle Royale mode is set to launch in Spring 2019.